NEW! 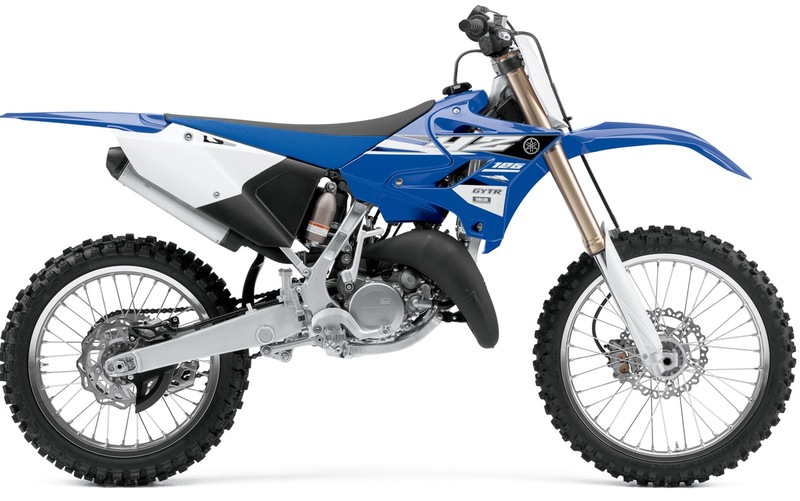 Modern, aggressive new styling for 2015 looks awesome. NEW! A clutch lever position adjuster is adopted to allow adjustments based on rider preferences and accommodates differing hand sizes. NEW! The latest Dunlop MX52 tires are used for the best off-road traction, performance and reliability. Patented YPVS power-valve system combines crisp, hard-hitting bottom-end acceleration with strong midrange and eye-opening top-end. Large-capacity radiator features a 10-row core to deliver maximum cooling efficiency at all performance levels. 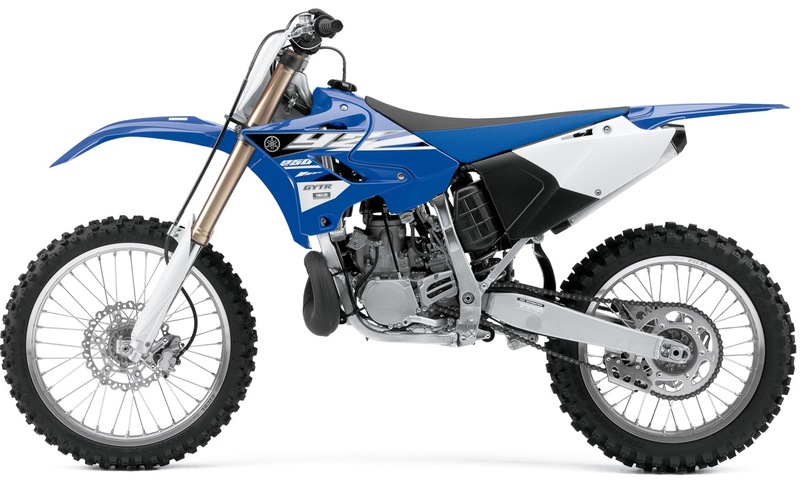 Trick, works-style clutch lever features race-spec barrel adjuster for on- the-fly adjustability. Speed-Sensitive System 48mm KYB fork; damping force is controlled by piston speed which provides a smoother, more precise ride with 11.8 inches of travel. Removable, lightweight aluminum rear subframe. Rear, fully adjustable KYB® shock features reduced-friction Kashima coating of internals. 12.4 inches of travel, separate adjusters for high- and low-speed compression damping make it the industry leader in suspension performance. Latest spec Dunlop MX52 knobbies offer race-spec traction and wear. Special-design “gripper” type seat and fuel tank, aluminum handle bars in an adjustable top clamp create greater freedom of movement and more comfortable ergonomics for riders. NEW! All-new modern, aggressive styling for 2015. NEW! The latest-generation KYB Speed-Sensitive fork, just like the 4-stroke machines, has been added and provides industry-leading performance. 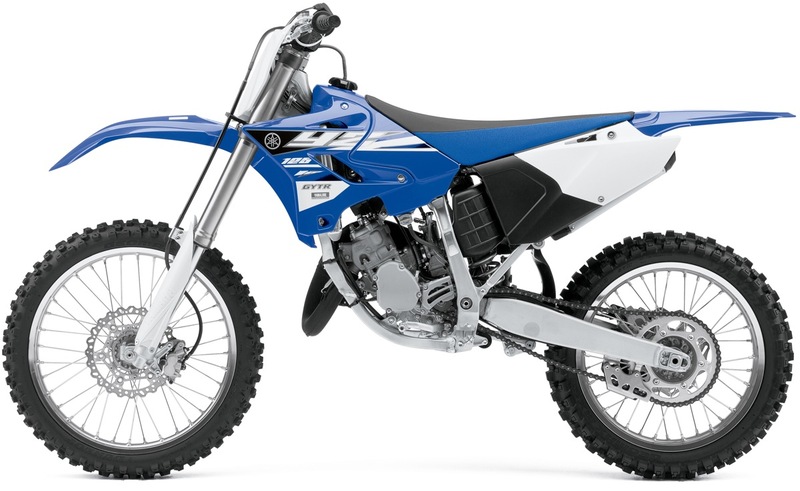 38mm Keihin PWK carburetor with power jet and throttle position sensor (TPS) provides precise fuel/air mixing and extra-crisp throttle response throughout the powerband. Large-capacity radiator features a 10-row core for maximum cooling efficiency. 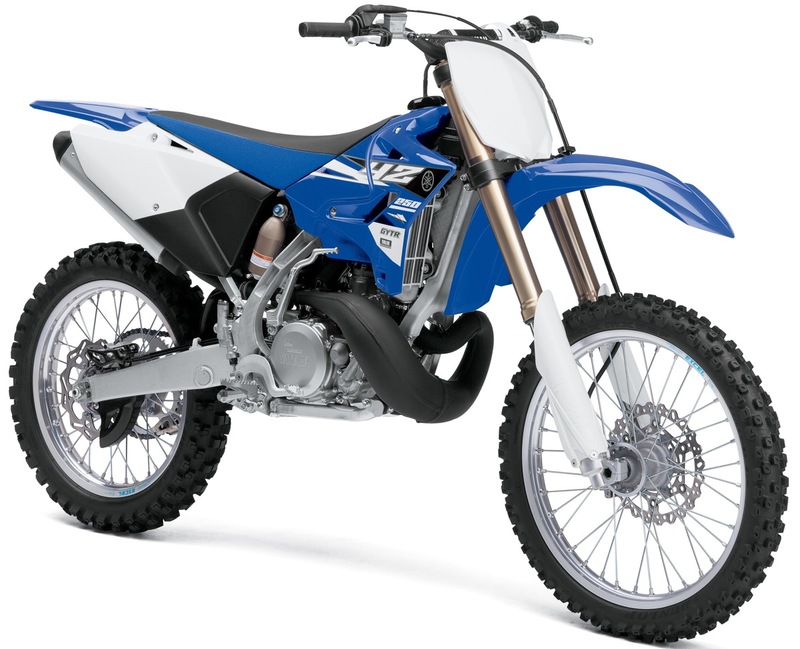 YZ450F-style front-brake caliper and wave-style front and rear discs minimize unsprung weight and provide excellent stopping power. Latest spec KYB 48mm forks feature the Speed-Sensitive System that uses piston speed to control damping force for super-precise handling and a smooth ride. Rear, fully adjustable KYB shock features reduced-friction Kashima coating of internals. 12.4 inches of travel, separate adjusters for high- and low-speed compression damping make it the industry leader in suspension performance. Lightweight 21-inch front and 19-inch rear Excel® rims provide exceptional durability and help reduce unsprung weight for optimal suspension, performance and handling. Special-design “gripper” type seat and fuel tank and aluminum handlebars in an adjustable top clamp create greater freedom of movement and more comfortable ergonomics for riders.